Hi everybody! It is a sunny and (kind of) warm day here, and I’m feeling mighty fine. I just got back from a long walk with Tucker, who of course needed to visit all of his human friends in the neighborhood, and now I’m sitting down with a huge bowl of raw pad thai. Today is good. Have I mentioned that the Main Street Vegan blog has been revamped? Well, today I have a special post on there all about eating vegan with allergies or food restrictions. 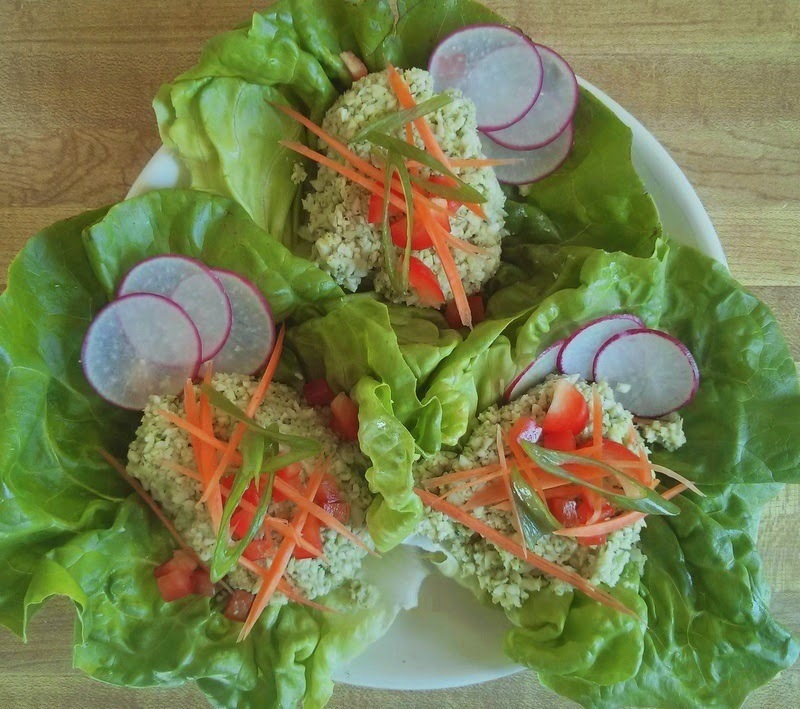 I’ve also included 2 recipes, pumpkin seed pesto and minted cauliflower rice, that together to make these gorgeous butter lettuce cups. Head on over to the Main Street Vegan blog to view my post and get the recipes here.